George has a great fondness for dragons and he is doing his best to imagine away his boredom blues by thinking of dragons and dragonish things. He is therefore delighted when his friend the dragon swoops down and carries him off to the "Once Upon a time" land. When they arrive George soon discovers that a horrid witch is keeping a baby dragon captive. Clearly his dragon friend needs his help and George, being a very resourceful boy, comes up with a terrific plan to free the baby dragon. The question is: can George and his large scaly friend keep one step ahead of the wicked witch and her magic spells? This wonderful companion book to "The Egg" adds a new dimension to the friendship between the boy and his dragon. 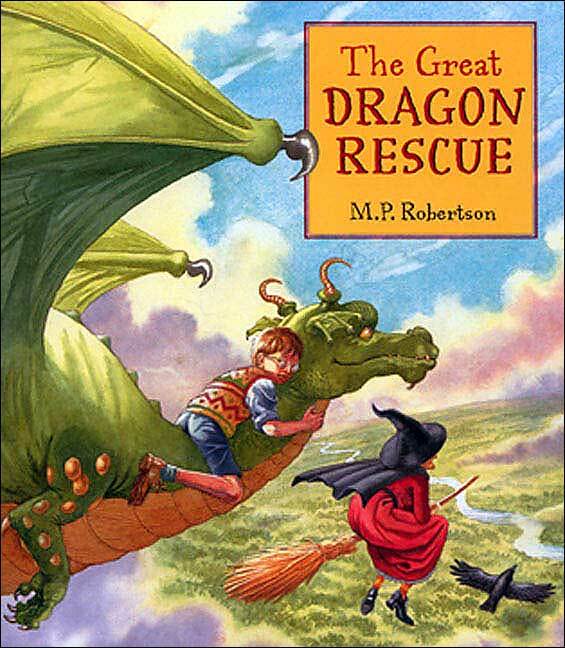 M. P. Robertson?s delightful magic laden artwork is full of light and action.